Instead of hitting Black Friday Specials and fighting the crowds, we took our visiting guests to Colonial Williamsburg for the day. The weather was a perfect 60 degrees in Virginia and the kids and parents all needed a bit of fresh air. 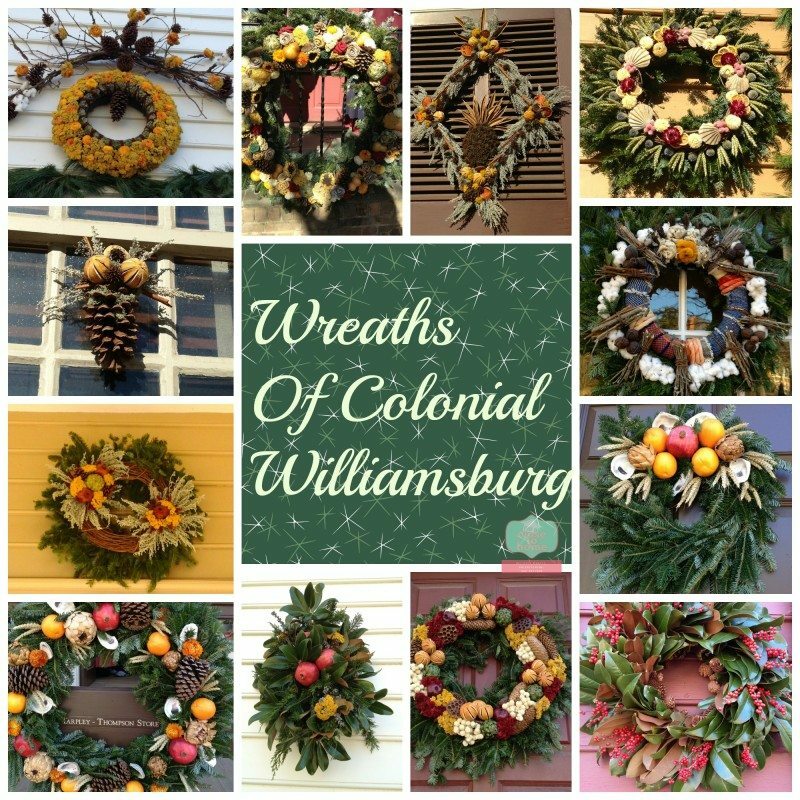 Using a mixture of dried and fresh fruits and flowers they have some beautiful combinations on the Christmas Wreaths of Colonial Williamsburg. They even used oyster shells to adorn these. 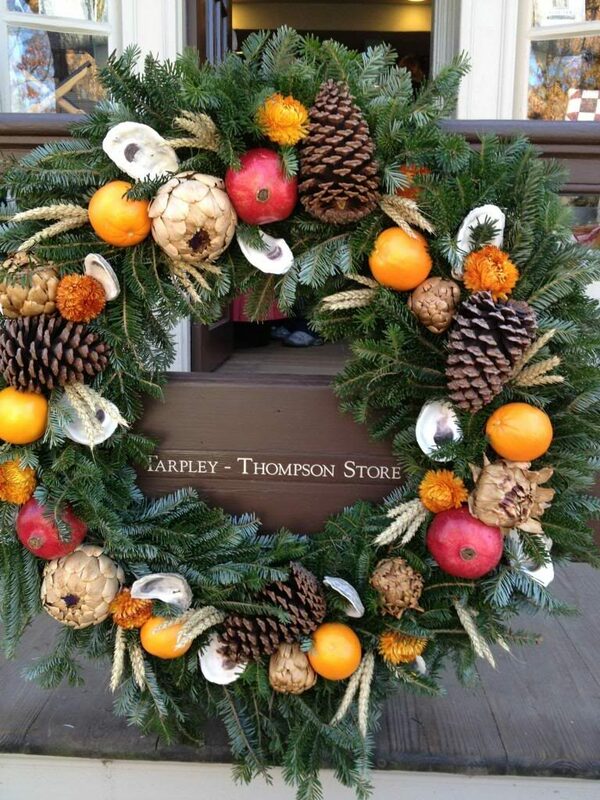 Cotton is used on this Christmas wreath to wrap the mold. I love the simplicity of these little evergreen Christmas swags that you really can put anywhere. 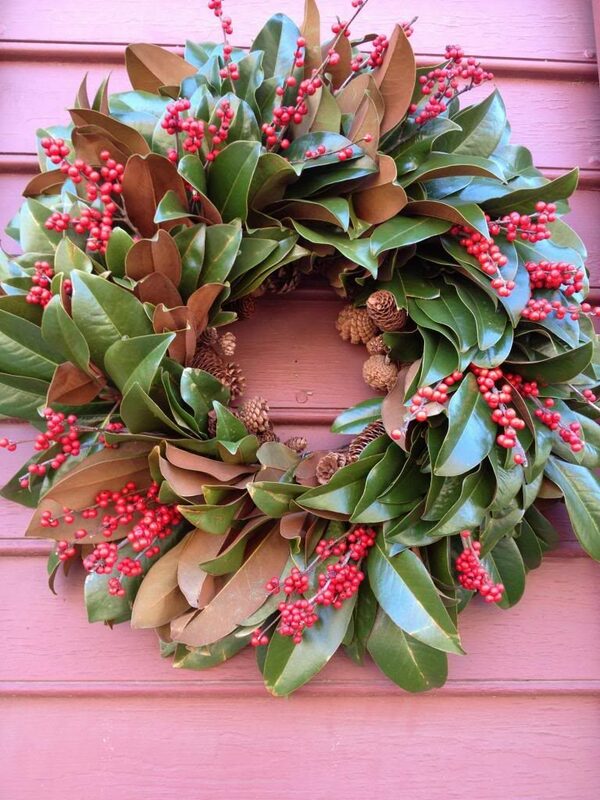 I also love the use of Magnolia leaves and evergreen in these wreath designs. These are definitely easy enough ideas to try this holiday. I do wonder how long the pomegranate will last on this too? 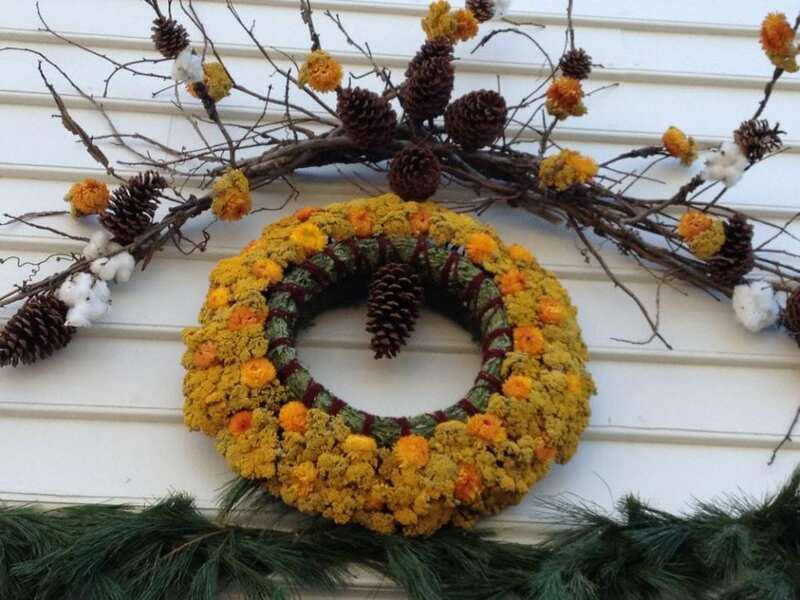 No worries about this Pineapple going bad on this diamond shaped wreath, it is made with dried flowers. This Christmas Wreath idea is probably my favorite and love how it accents the red door. Which is your favorite Christmas Wreath? What unusual items do you decorate your home with? These are all great! I love the natural theme in all of them!! They are all pretty, but my favorite is the very first one!! Those are so pretty, I love the artichokes. I think that is a nice touch. Also they are colorful, that is nice to see. I am also rather partial to the sea themed one. These are so amazing! I just love how they use nature, they look wonderful!